LANDECK — Fifth-grader Olivia Bloom is the 2018 Landeck Spelling Bee champion and will compete in the Allen County Spelling Bee at 10 a.m. on Feb. 23 at OSU-Lima. Fourth-grader Malin Casemier is runner-up. 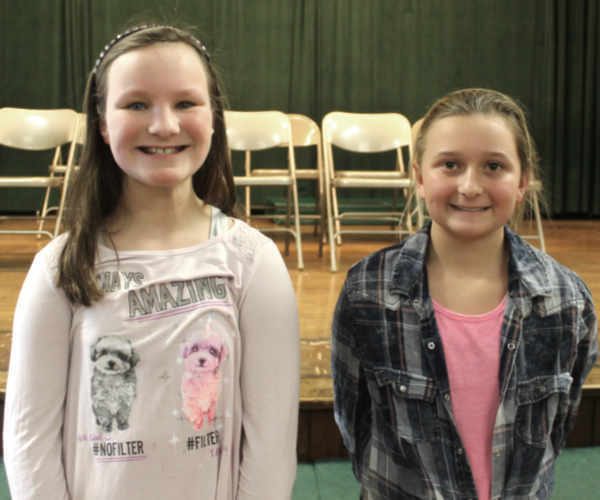 The bee started with 10 fourth- and fifth-grade contestants and lasted 19 rounds with Bloom and Casemier battling it out the final four. In round 18, Casemier and Bloom both misspelled rickety. In round 19, Casemier fell on pronounce, which Bloom spelled correctly and then monopoly for the win. Casemier will attend the Lima News Spelling Bee. The time and date has not been announced.